It’s another bad omen for life on Earth, as a colony of imperial penguins from the Antarctica peninsula has disappeared, probably due to the warming of ice caused by global warming. It was expected that penguins would greatly suffer from the warming, but this is the first documented case ever of the disappearance of a colony. 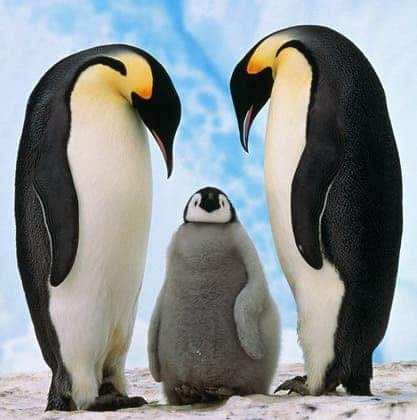 First of all, let me just say that penguins are absolutely amazing creatures. I don’t know if you had the chance to see “The March of the Penguins“, but it is hands down one of the best documentaries I have ever seen, and it’s not only very informative, but extremely entertaining too. If you haven’t seen it, let me tell you a bit about their habits. Ice is crucial to these penguins; most of them breed on sea ice (also called fast ice) that does not move with the wind or currents. When autumn comes, they go to their colony, where they mate, lay eggs and raise their chicks, but every single year, they return to the place where they were born. “The one site in Antarctica where we have seen really big changes is the West Antarctic Peninsula,” Trathan said. For much of the 20th century, this region has warmed at an unprecedented rate, particularly in recent decades, the researchers write in a study published Feb. 28 in the journal PLoS ONE. This in itself isn’t a worldwide catastrophe, but it is probably just the tip of the iceberg, and penguins all over the world have a pretty dire future ahead of them; time will tell.